Fearless Fred Fury: no one will be let down. Also available on the 26th a secondary Flip the Rat CD. Instructions inside of Fred furys booklet on how to obtain. Great milenko and friends Canada tour to feature Esham. Dark Lotus is not gonna happen again. Ruby and sugar slam will have their own line of juggalette clothing. Ruby’s shirt design that was put out was the best selling shirt psychopathic put out last year. When they get home from gotj: loony goons super group will start recording. Could be 1980 hip hop style or 2019 hip hop style. Will consist of: ICP, Big Hoodoo, Lyte, and Ouija. Winter individual Shaggy and J solo tours. 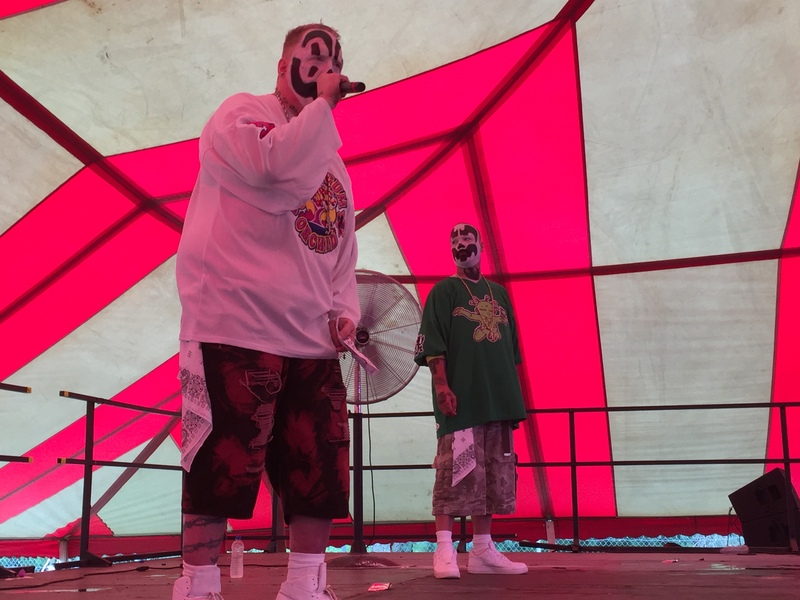 Violent J has started his own label under psychopathic: Big Baby Records. Compilations heavy. Shaggy is coming out with an art line: paintings and sketches, prints. Shaggy saw a guys balls at gotj. He thought it was funny. Brand new action figures out by: Halloween or Christmas. LIVE at starrcast in August in Chicago. Very dark times for ICP during hell’s pit era. No memory of recording the hell’s celler songs. Hell’s pit 20th anniversary will have even more unreleased Hell’s Pit songs. 6 months later over a period of 3 years will be all 6 joker’s cards. During ICP concert tonight there will be an announcement. Bands for everyone’s style next year. “There will not be any disses towards anyone” but they’re about ready to drop an EP called Flip the Rat. Five bucks there’s a diss in the first track. I’ll take that bet, I’ll even up it to 20, $20 says there wont be any disses to Twiztid on FFF or flip the rat, but if you’re too broke we can keep it at $5, cmon Lasagna3, the bet is on right? They said anyone, so I’m saying no disses to G Mo, Young Wicked, your little brothers homie from down the way, no one. Anybody got any news on what the “mind blowing, wig splitting big news” was they dropped at their show tonight?